It’s raining investments in the Indian eCommerce sector. Soon after Amazon, Flipkart, Snapdeal getting a breather for life (thanks to foreign investments), it’s time for the smaller players to do the deal. As per a news report by The Economic Times, Naaptol Online Shopping, which owns and operates TV shopping and eCommerce platform Naaptol.com, has raised Rs 136 crore from Japanese conglomerate Mitsui & Co, the latest example of global investors continuing to back Indian online retailers. At its Series C or third round of institutional funding last month, existing backers New Enterprise Associates, Canaan Partners and Silicon Valley Bank also participated. "We are already in 24/7 format across languages, and in this fiscal, we hope to be the largest home shopping network in India," Manu Agarwal, founder and chief executive of Naaptol told the ET. While Agarwal did not disclose exact stake sold to Mitsui, dilution is believed to be in single-digit percentage points. Investment bank Jefferies India was the financial adviser in the transaction. Mitsui owns a sizeable stake in Japanese TV shopping retailer QVC Japan as well as home shopping networks in China and Japan. Naaptol competes with Reliance-owned HomeShop18, the country's largest TV shopping firm, as well as with TVC SkyShop and StarCJ. "Automation of our supply chain is also right on top of our agenda. 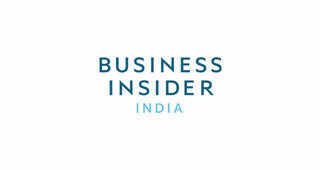 We will be focusing on doing more creatives across more products," said Agarwal. Naaptol is targeting commission revenue - which is net revenue, not gross - ofRs 530 crore for fiscal 2016, a 54% increase over its 2014-15 revenue, according to the financial daily. "We're not losing a significant amount of money, and expect to get into profitability by the end of this (financial) year," Agarwal said. The company derives about 85% of revenue from television, and expects it to grow to 90% this fiscal.